Couples shopping in the online leader in tungsten wedding bands will be happy to find unbeatable prices on many top of the line tungsten and cobalt rings including gold, silver and platinum wedding bands this spring. The cold winter weather is beginning to fade and temperatures are starting to heat up. Spring is upcoming, and the busy wedding season is right around the corner. The wedding ring experts at TungstenWorld.com finished a bit of spring cleaning this week, announcing price breaks on many of the top of the line gold, silver and platinum tungsten wedding bands. They’ll be helping couples get the best wedding deals this spring in anticipation of their upcoming nuptials. Always popular during the wedding season, gold tungsten rings along with platinum and silver tungsten bands showcase the versatility of tungsten wedding bands as modern metal rings of extreme durability coupled with the classical appeal of the traditional precious metals. And while quality does come at its price, Tungsten World has managed to drop the prices of many gold, silver and platinum styles up to $100 without sacrificing any of the craftsmanship or quality materials the online retailer has become synonymous with. 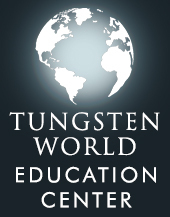 "Now is an great time at Tungsten World," said owner Stephen McKenna. "We're gearing up for the start of the wedding season and excited to be taking part in all the upcoming weddings. Our gold, silver and platinum inlay rings are the most popular this time of year and we want couples to get the best prices." Manufactured and hand finished in the U.S., Tungsten World rings and tungsten wedding bands with inlay feature deep channel inlay settings for the most gold, silver and platinum possible in each ring, while only using superior alloys like Argentium sterling silver, 18 karat gold and 950 platinum. In addition to the traditional gold, silver and platinum inlay tungsten rings, TungstenWorld.com also carries a line of mokume gane tungsten rings using ancient precious metal techniques resulting in wood grain or animal print-like pattern precious metal inlays. Featuring the quality of Argentium sterling silver, an alloy of silver brighter, whiter and more durable than traditional sterling silver, silver tungsten rings will now be priced at a very low $299. Making the step up to gold even easier, the savings get a little bit better with prices marked down $50. All of Tungsten World’s gold inlays are the highest of quality 18k gold inlay. Gold tungsten rings will now be priced just below $500 at $499. Included in the $50 price break are mokume inlay tungsten rings featuring silver and shakudo inlay patterns. Finally, at the top end the savings reach a stunning $100, as all tungsten platinum rings are now just $649, while still featuring the same high quality 2mm platinum inlays. As always, all precious metal inlay rings will still qualify for free laser engraving, allowing customers to add their own personal message to any ring. "It's the perfect time to upgrade," said Brett, Tungsten World’s COO, of the upcoming wedding season. "If you're looking for a tungsten wedding ring with precious metal inlay but you’re on the fence, these new prices should making upgrading a breeze without having to compromise on quality." In addition to lower prices now in effect for the top of the line tungsten rings, Tungsten World also recently introduced a new Groomsmen Gifts category to fill out all wedding needs. Included in the category are cufflinks, money clips, bracelets and watches perfect for the best men, while many are customizable with the laser engraving of the groomsmen’s initials or names. This wedding season, TungstenWorld.com is the one-stop wedding shop. Exclusive to TungstenWorld.com, Tungsten ForeverTM tungsten rings and tungsten wedding bands, for men or women, are made from the highest quality tungsten carbide. Hand-finished and coming in a wide array of widths, styles and sizes, Tungsten ForeverTM tungsten rings set the standard for durable men’s wedding bands guaranteed to last a lifetime. Coupled with Tungsten World’s industry-best Lifetime Replacement warranty and friendly customer service, customers purchasing Tungsten ForeverTM tungsten rings and tungsten jewelry can be confident in knowing they’ve received the very best the internet has to offer.